You asked, we delivered. 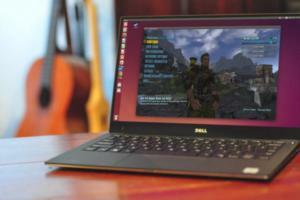 Here are fifteen-ish more classic PC games that have withstood the test of time. Try narrowing down the entire 40-year legacy of PC gaming into 15 classic games and it turns out you're going to miss a few. Last week, loyal PCWorld readers were kind enough to point out some big, gaping holes in our list of the 15 PC gaming classics you should revisit. And you're right! Why limit the list to an arbitrary 15 games? Why not make it an arbitrary 30 instead? Let's do this together. Here's 15(ish) more classic PC games you should revisit, created in large part from your feedback and suggestions. (Yes, we read the comments!) Some of these games are so important they should've probably made the original list (I'm so sorry, Blizzard), while others (Marathon) are just solid additions to the canon. Read on for the full list—and please don't yell at us for forgetting your favorites unless you've read our original 15 picks, too! 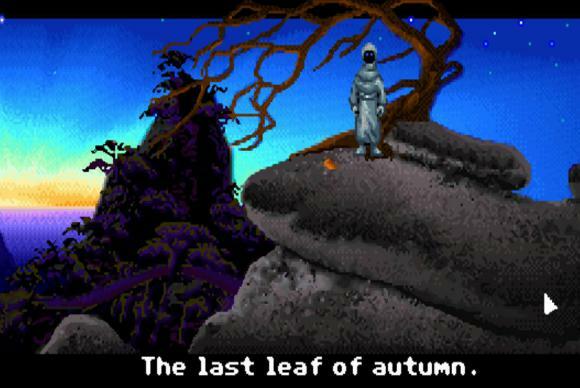 LucasArts/Lucasfilm Games made some terrific point-and-click adventures back in the day. Maniac Mansion, Loom, Day of the Tentacle, Full Throttle, Secret of Monkey Island, Grim Fandango—most, if not all, of these titles are must-plays. Modern perspective: The problem? They're super-hard—and sometimes downright impossible—to find legally. Secret of Monkey Island exists only as a remake. Loom is on Steam, but only the crippled CD version. A Day of the Tentacle remaster is on the way, but in the meantime is impossible to find. Full Throttle is equally impossible. Grim Fandango and Maniac Mansion are the only two that are still easily accessible in basically their original forms. Get this: Back in the '90s, Bungie developed a first-person shooter about a guy in space who has to fight aliens with the help of a "friendly" AI who may or may not be crazy. Yeah, there are quite a lot of parallels between the Marathon trilogy and the work Bungie would later do on Halo (and now on Destiny). Marathon is a great example of a story-driven '90s shooter though—a bit slower, with a bit more reading than its contemporaries. Modern perspective: It's also extremely easy to play the Marathon trilogy. Bungie released the source code a few years ago, so all three games are available for free through the Aleph One project. Up until recently, I wouldn't even have had to tell you to "revisit" StarCraft. 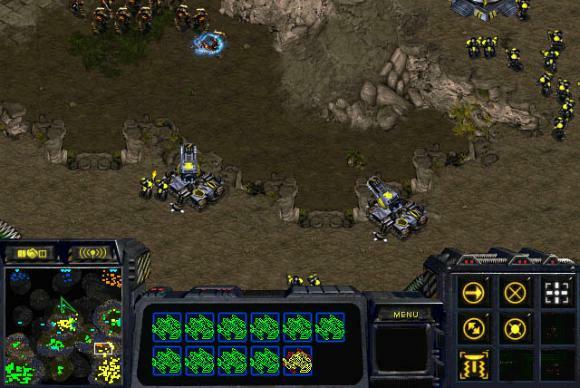 It took over a decade for Blizzard to release a StarCraft sequel, and people just kept on playing. Now that's community retention. The multiplayer side of the original StarCraft isn't as thriving as it used to be, since most people moved over to StarCraft II, but it's worth picking up the game plus its expansion Brood War to play through a pair of pretty fantastic singleplayer campaigns. 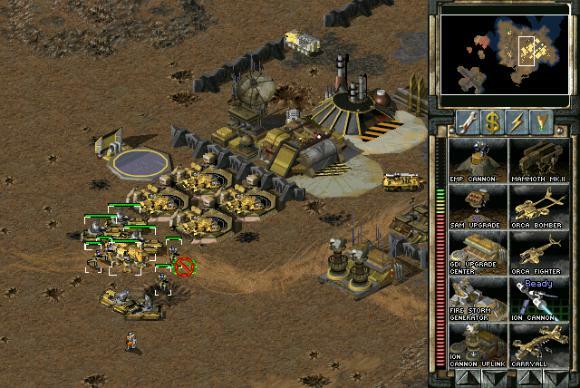 Modern perspective: If you've played any of Blizzard's real-time strategy games, StarCraft will feel innately familiar—yes, even coming up on twenty years since its initial release. 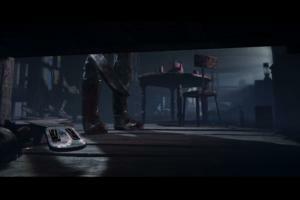 I'd say the game's a bit harder than StarCraft II, but that's to be expected from games of the era. Good luck with the hold out/survive missions especially. Remember to save, and save often. 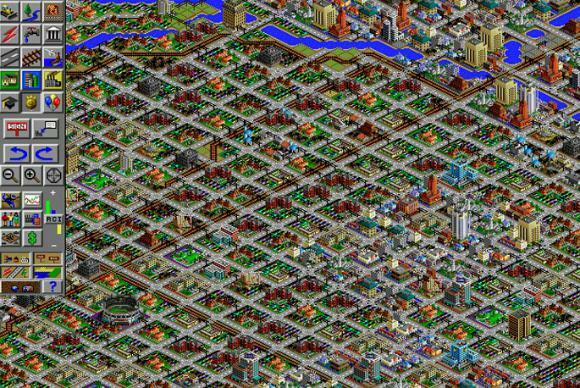 This one's easy: SimCity 2000 is maybe the best city builder of all time. Up until a few weeks ago I would've said the best, but Cities: Skylines is giving it a run for its money. Regardless, SimCity 2000 is still my personal favorite. Modern perspective: The biggest obstacle to playing SimCity 2000 these days is the retailers. Both GOG.com and Origin offer only the DOS version of SimCity 2000, which is unfortunately inferior to the Windows 95 version most people probably played. If you can find the Windows 95 one, buy it. Other than that? Well, you'll have to deal with a slightly cumbersome interface, especially for subways. Considering how much Cities: Skylines "borrowed" from SimCity 2000 though, it's safe to say this one's still a classic. Sure, maybe you read Douglas Adams's Hitchhiker's Guide to the Galaxy, but did you ever play the game? 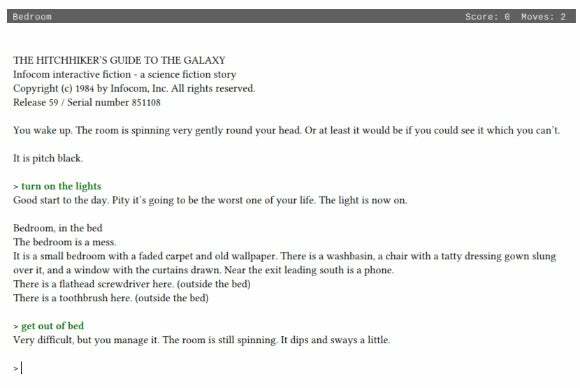 Hitchhiker's Guide is one of the most punishing text adventures ever made, with one legendary puzzle in particular that requires you bring a seemingly useless item from the first section of the game almost all the way to the end. Hell, there's a good chance some of you won't even make it out of the first room without dying. It doesn't matter though. The writing is hilarious, so you'll at least die laughing. Modern perspective: Luckily this is another game that's super easy to play today. The BBC maintains its own version of the Hitchhiker's Guide text adventure (with some fancy added graphics) on the web, so you could literally start playing for free right this moment. Or you could use your imagination and go the old-fashioned, text-only way. Dissatisfied with Peter Molyneux's recent god-game attempt Godus? Go back to the beginning and play Populous 2 instead. 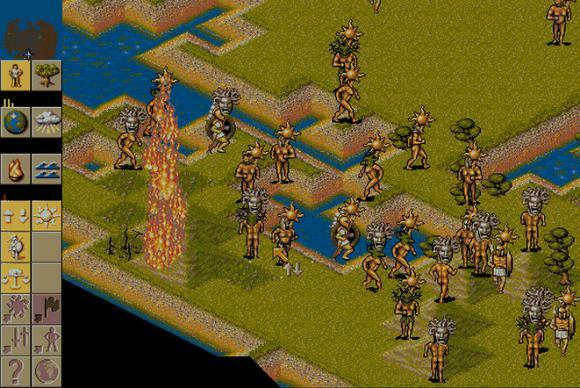 Even now, it's safe to say Populous 2 is one of the best god games of all time. As GOG.com's description says, "You really can’t go wrong with a game where you can kill gods, obliterate entire continents, and strike down upon the infidels with great vengeance and furious anger." 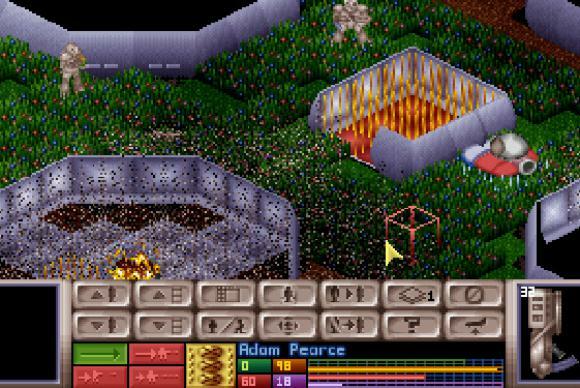 Modern perspective: The original Populous is also a classic, but the increased resolution, additional powers, and better UI in the sequel make it the way to go if you're only buying one. And if you need more reminders of a time when Peter Molyneux was seen as a genius among game designers, check out Dungeon Keeper. If you've followed the site for any length of time, you might know I'm a huge fan of Death Race 2000. And since I'm a fan of Death Race 2000, it follows that I'm a fan of Carmageddon. Carmageddon actually went through both the Mad Max and Death Race licenses before becoming its own IP. 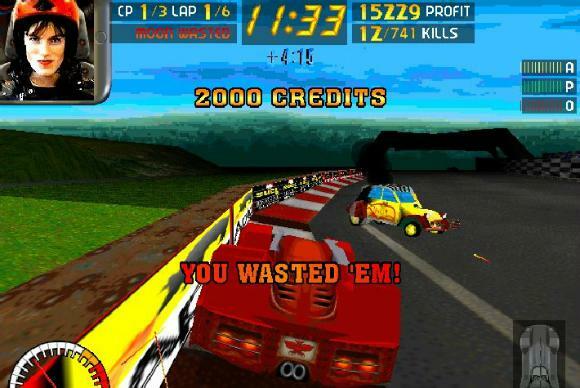 Sure, you could drive around in circles and play it as a standard racer. But you could also just drive around and murder people in your car. Did I mention the main character's name is Max Damage? Because that's awesome. 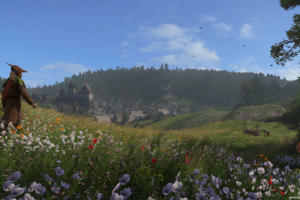 Hopefully the upcoming sequel (currently in early access) will be as good. You readers really wanted to see Doom and/or Quake on our list. Like, a lot. And that's fair. 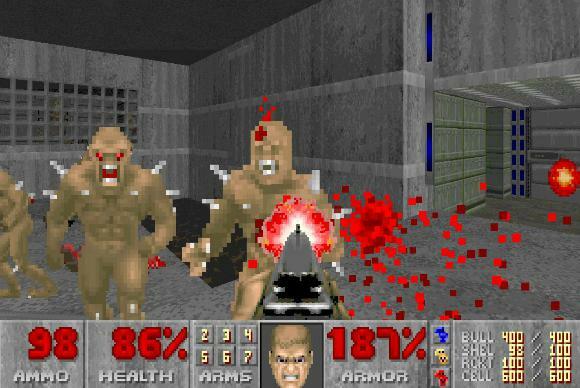 Doom and Quake are iconic '90s first-person shooters—heck, Doom practically launched the genre into its current industry-dominating status. Personally I don't think either series has aged as well as Duke Nukem 3D or Marathon, but there's no doubt if you haven't played Doom/Quake that you should at least try both for posterity. Modern perspective: If you don't want to buy Doom, there's like, a million different ports out there (thanks to id's release of the source code in 1997). Someone even ported Doom to an ATM. And Quake? Well, I'd recommend Quake Live for convenience, considering it's basically Quake III Arena in your web browser. There's also the Quake Collection, if you want to check out the singleplayer. Age of Empires II is probably my favorite real-time strategy game of all time. Disagree with me? Wololo. Not anymore, you don't. Yeah, that claim's due somewhat to nostalgia on my part, but that doesn't mean Age of Empires II isn't a phenomenal game. It's so beloved, Microsoft even published an expansion to the game almost fifteen years later. If you have any interest in history-themed strategy games, this is a must. Modern perspective: In addition to the expansion, Hidden Path remastered the entire game for modern systems a few years back. 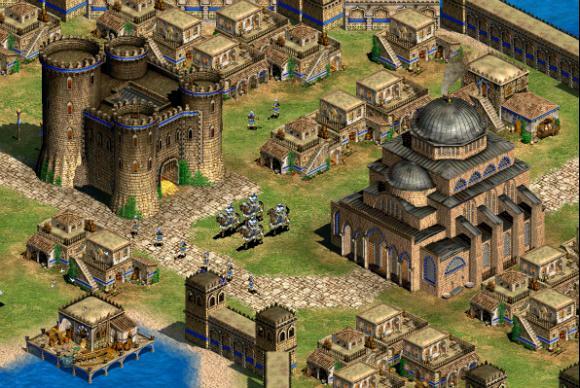 Age of Empires II HD Edition is the best way to play this classic—the same game and its expansion, but with native widescreen, updated graphics, and full Steam Workshop mod support. Another Blizzard game that waited way too long for a sequel, people have just barely stopped playing Diablo II—like, within the last three or four years. It's one of the best action-RPGs of all time, with a fondly-remembered storyline and plenty of loot to keep you click-click-clicking for days months years. Plus people really love the grim art style of Diablo II. 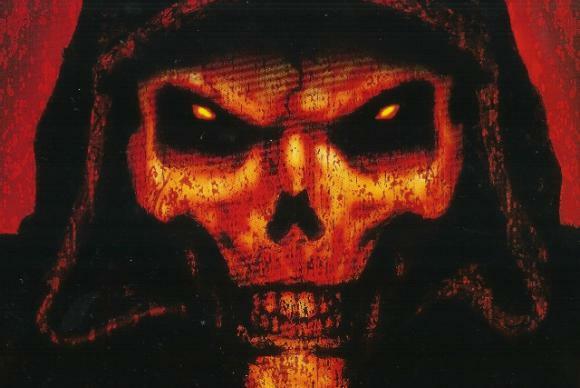 Modern perspective: Now that the Reaper of Souls expansion fixed most of the problems with Diablo III I don't hear people talk about its predecessor as often, but that's no reason not to go back and play Diablo II if you missed it the first time. Action RPGs haven't really changed much since Diablo II, so as long as you can frantically click on enemies (and follow some instructions to make the game compatible) you should be fine. Poor Half-Life. It's hard being the younger sibling to one of the greatest games of all time. People just don't give you as much respect as you deserve. Truth is, the original Half-Life's campaign is fantastic even if it's not on the same level as Half-Life 2. If you want to know why this "Gordon Freeman" dude was such a big deal before Half-Life 2, make sure to check this one out. And it doesn't hurt that many of today's biggest games came out of Half-Life's mod scene: Counter-Strike, Team Fortress, and Natural Selection, among others. 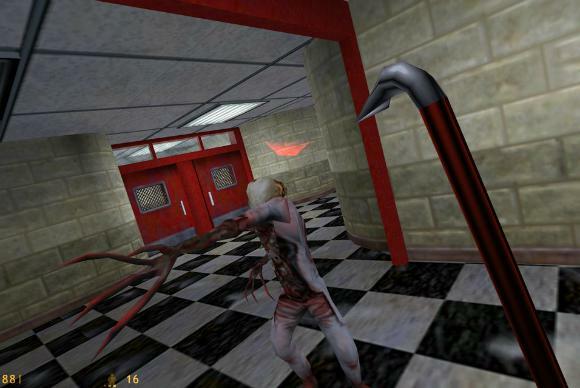 Modern perspective: Half-Life has the same problem as many other '90s shooters in that it's quite a bit harder than what you're probably used to nowadays. However, it's also really easy to find thanks to the fact that it's, you know, a Valve game. Plus there's the free Black Mesa Project, which has spent the last decade or so rebuilding Half-Life for modern systems. It's almost done, minus the last bit of the campaign. Six degrees of freedom. Six degrees of freedom. Six degrees of freedom. Descent isn't much, as far as story is concerned. You're tasked with clearing out a series of offworld mines filled with deadly robots, and...well, that's about the extent of the plot. 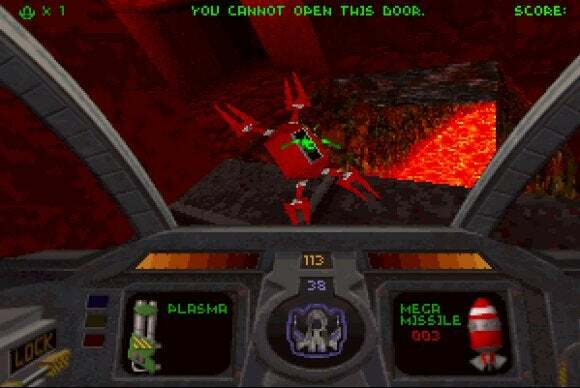 But Descent is a classic, in large part because it's so unique. 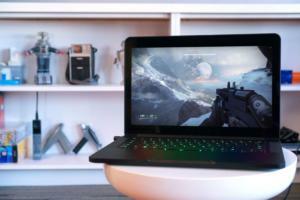 It's a first-person shooter played in zero gravity, allowing you to move along the x, y, and z axes, pitch, yaw, and roll (the aforementioned six degrees). Using a joystick is highly recommended. Modern perspective: Descent 's not the prettiest game nowadays, but it's still worth playing because there's nothing else like it. Literally. The whole six-degrees-of-freedom thing never really caught on, so good luck finding a modern first-person shooter that plays like Descent. Well, unless the planned sequel attains funding. If you need something that looks a bit prettier, Descent 3 is also a great game (though less fast-paced than the original). The problem with putting Sierra's adventure games on this list? There are so many, and so many of them are classics. 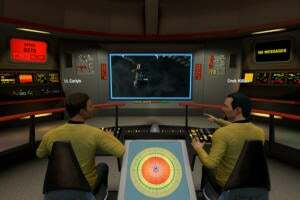 Of them all, the Quest line is probably the most notorious—that is, King's Quest, Police Quest, and Space Quest. Despite the different settings, all three series have something in common—a fondness for killing off the player. 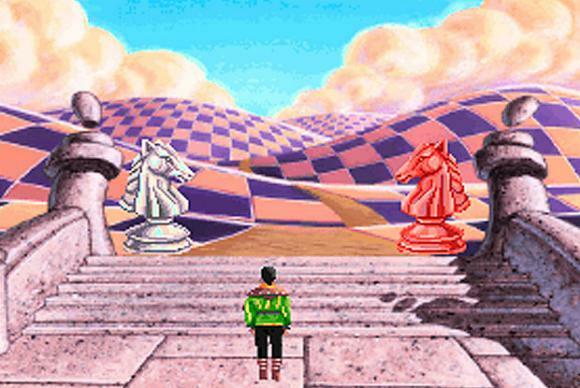 If you think LucasArts adventure games are difficult, well, you aren't even close to prepared for the Quest games. But that doesn't mean they're not fun, in a masochistic sort of way. Modern perspective: The best part about the Quest games? GOG.com sells them packaged together, so you can snag a bunch at a time. Some personal favorites? King's Quest VI and Space Quest IV. And once you've finished those and Police Quest, check out Gabriel Knight for even more Sierra adventures. Alongside StarCraft, Warcraft and Age of Empires, the Command & Conquer series is one of the most beloved RTS franchises of all time—not least because some of the games feature some amazing/cheesy FMV cutscenes. Modern perspective: If you want to try out Command & Conquer, EA makes it easy for you—they sell all 17 of the original games (up through 2010's heavily criticized Command & Conquer 4) in one super-cheap collection. It's an extraordinary value, if you're an RTS fan. So then the question is "Which do I play first?" Most people will recommend Red Alert 1 or 2, Tiberian Sun, or Generals, though some will throw in a vote for Red Alert 3's zany antics. If you're a fan of strategy games, hopefully you played XCOM: Enemy Unknown sometime in the last two years. If you beat Enemy Unknown and want to have a similar experience, except like, ten times harder than a game that's already ridiculously hard? Well, 1994's UFO Defense is your savior. In case you're not familiar, X-COM is a turn-based strategy game where you control a small force of soldiers combating an alien threat. Also, everything can go wrong at any moment. This game hates you and your very existence. And it's great. Modern perspective: The main challenge with UFO Defense is understanding that you will lose, and then learning to enjoy that. If you get frustrated, you're just going to fail faster. When everything goes wrong, laugh in the face of death. Also check out OpenXcom—it's an open-source clone of UFO Defense that runs natively and fixes some of the game's biggest issues. Okay, so Mario Teaches Typing is a bit outside the purview of some of these other games, but once I was reminded of it last week I just had to include it. Mario Teaches Typing is—you guessed it—a game/typing instructor themed around Super Mario Bros. 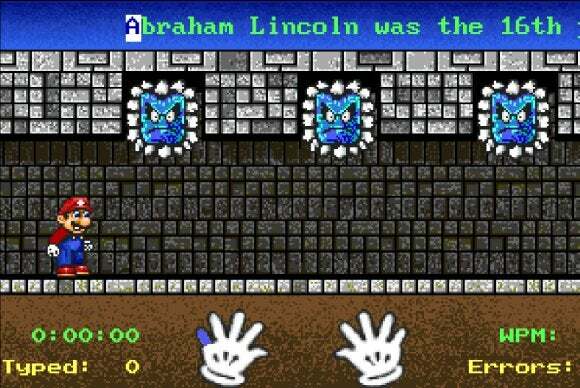 If you were a kid in the '90s, this was the best way to learn how to touch-type It's infinitely better than the dry, boring programs the schools used. The craziest part? 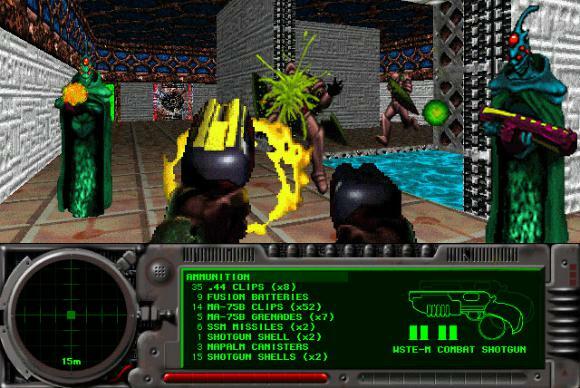 It was developed by Interplay, the studio that went on to make Fallout. Modern perspective: Want to see how good a typist you are? You can play Mario Teaches Typing right now in your browser, thanks to the Internet Archive.